Colombia is a country with several sources of economic growth, especially in the agriculture and livestock sector. The main focus of the country in this sector is the production and exportation of coffee, flowers and several fruits. It is safe to say that Colombia’s main economic development comes from the primary sector due to its natural wealth. Nonetheless, there are other areas that are very profitable in Colombia, such the tourism sector and infrastructure projects. Colombia has a very diverse soil and is the only country in South America that has access to both the Pacific and Atlantic Oceans. Colombia’s economic status has been above the average of the region for the last couple of years. Although it is now considered that the economy is decelerating, inflation and unemployment are kept in single-digit figures. In addition, risk rating agencies have recently awarded Colombia very favourable ratings. Colombia is also a power in regards to the oil and mining industry; therefore, the government has been seeking to attract foreign investors to develop this sector. However, as the world economy has experienced a crisis in international oil prices, this has affected the oil industry, which has produced a concern in the national economy. The government has faced this situation by investing in infrastructure projects. Since Colombia has a free-market economy, the government has stimulated foreign investment to increase the growth of the national economy. As a result, Colombia has been classified as one of the main destinations for foreign investment in the region. In addition to this, Colombia is beginning a new period, owing to the peace treaty that was signed between the government and one of the most important illegal armed groups (FARC), putting an end to an internal conflict of at least 50 years. This new peace policy is expected to continue with other different armed groups, providing a favourable environment for foreign investors. Colombia is a democratic, presidential and unitary republic. With a civil law tradition, as well as much of the legal systems in the region, it is highly influenced by French and Spanish law. The main sources of the legal system are the Constitution and written law; the general principles of the law, doctrine and jurisprudence are auxiliary sources. the judicial branch (Constitutional Court, Council of State, Supreme Court of Justice, Judicature Superior Council, State Prosecutor’s Office, Tribunals and Judges). electoral organisms (National Electoral Council, National Civil Registry Office). Laws are made by the National Congress and must be approved by both houses (Senate and House of Representatives) in a number of debates that depends on the type of law that is to be approved. A fast-track process has recently been approved that allows the law-making process to be expedited if the bill has something to do with the implementation of the peace agreement between the government and FARC. However, once the law is approved and is fully valid, it can be declared unconstitutional by the Constitutional Court and thus may not be applied ever again. Bills concerning the implementation of the peace treaty with armed groups have recently marked the legislative agenda of Congress, although other bills have recently been issued that could be of interest to foreign investors, such as the latest tax reform (Law 1819/2017), some dispositions concerning maternity leave, among others. The rule of law is generally respected, and law itself is generally well enforced, but there have been some isolated cases that have been marked by corruption, which is currently the most serious issue the government faces. There is a culture of litigation, which promotes jurisprudential development, but the legal system is slow and tends to take between eight and 15 years to solve a big case. Regulators and lawmakers are powerful due to the rule of law that is generally respected in Colombia, making Colombia a legal power in the region. This is also as a result of the litigation culture and business opportunities that enhance the increased development of law and jurisprudence in comparison with other jurisdictions. Colombia’s legal system is based on French law and theory, both civil and administrative. Finally, it is generally friendly to business and investment if businesses conduct their activities in accordance with the law and respect certain issues that Colombia considers to be of importance at the moment, such as the environment and indigenous groups. the interpretation of the Constitutional Court. 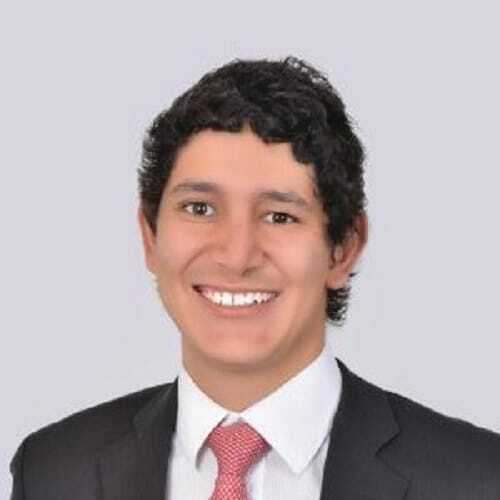 First of all, in Colombia is not common that large commercial disputes are submitted to regular jurisdictional power, because normally an arbitration clause is agreed upon. However, when submitted to regular jurisdictional power, depending on the amount of money in dispute (if there is any) the case may be studied in first instance by a municipal judge and in appeal by a circuit judge; or by a circuit judge in first instance and in appeal by a superior tribunal. This later type of procedure is subject to reach an extraordinary instance after the appeal is solved called cassation which is solved by the Supreme Court of Justice, but the requirements for that to happen are very strict. This whole process may take about eight to 10 years. If the business has anything to do with public entities, depending on the amount of money in dispute, the case may be heard in first instance by an administrative judge and in appeal instance by a tribunal, or in first instance by the tribunal and in appeal instance by the Council of State. This process takes more time because of the delay in the administrative jurisdiction. Along the whole process, constitutional actions are available whenever fundamental rights are violated during the process, mainly relating to the constitutional right of due process. class or popular actions regulated in Law 472 of 1998. Class or popular actions, although regulated, are not very popular in Colombia because their implementation has never been clear as far as procedure. Therefore, these must not be a significant concern for business because they are not as developed as in other countries. In matters of consumer rights, in Colombia there is a special entity in charge called the Superintendence of Industry and Commerce, which is part of the executive power. 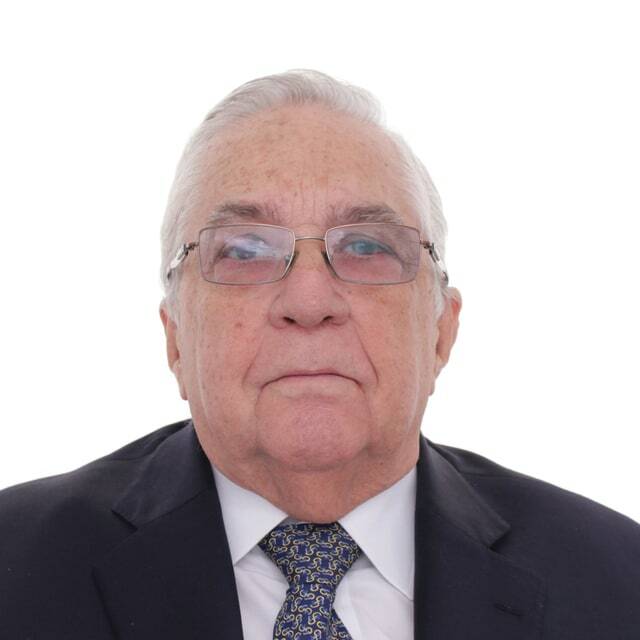 This Superintendence is legally in charge of everything related to consumer rights, and it has jurisdictional powers to resolve disputes between consumers and businesses, and to function as a civil judge. Arbitration has become very significant as a method of dispute resolution and most of the important cases are being solved by arbitration. The arbitral procedure is regulated by Law 1,563 of 2012, and it has been very valuable because it ensures a quicker resolution of conflicts in an effective manner. 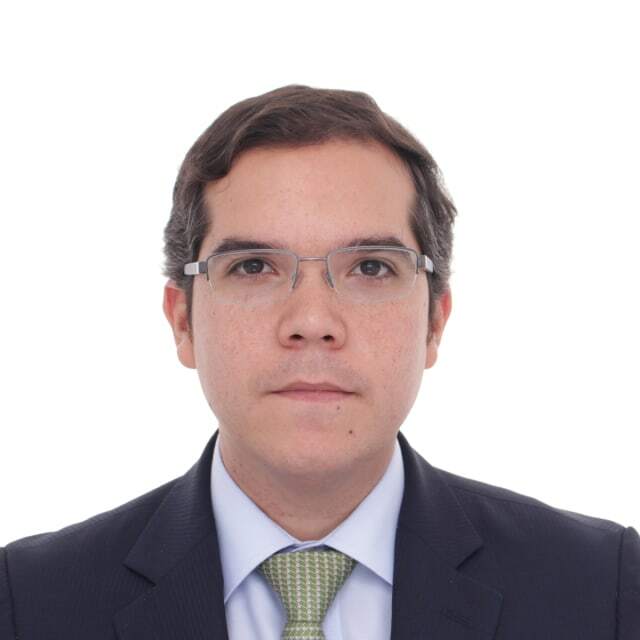 Also, there are arbitrators of the highest quality in Colombia. Nonetheless, this method tends to be very expensive and therefore is not universally available. In Colombia, the arbitration tribunal itself cannot execute arbitral awards; if the party that loses in the arbitral process does not want to comply with the award, a new process must be started before a judge (not the same arbitral tribunal) to execute the award. In Colombia, there is a legal requirement to try to settle the dispute first before a certified settlement centre (mediation) prior to commencing a lawsuit. Therefore, direct settlement is a method commenly used by litigators. The problem with mediation is that because it is a prerequisite to sue, is not seen as an effective method of dispute resolution but as one more step in the judicial resolution of conflicts. In Colombia, both foreign court judgments and foreign arbitral awards need to be recognised by a local court, which is normally the Civil Chamber of the Supreme Court of Justice. It may not be about rights in rem located in Colombian territory at the moment of the beginning of the process. It may not be contrary to Colombian law and public policy, except laws about procedure. It must be enforceable according to the law of the country in which it was ruled. It may not be about matters that are the exclusive competence of Colombian judges. There cannot be any other process in course, or decision in Colombia, about the same matter. If it is a contentious process, notification and contradiction rights must be respected. It must be recognised by the procedure of exequatur. The exequatur procedure is regulated in article 607 of General Procedure Code, and it is the procedure by which the Civil Chamber of the Supreme Court of Justice recognises that a foreign court judgment or an arbitral award is enforceable in Colombia. Arbitral awards have their own regulation in Law 1,563 of 2012, but it is not radically different from the General Procedure Court, though it is more specific to arbitral tribunals and awards. Colombia has a very active policy with regards to trade relations with other countries in the region and abroad. Colombia has currently several free trade agreements and bilateral investment treaties signed and approved, and some others that are already signed but pending approval. Colombia has also signed and approved several double taxation agreements, to enhance and attract foreign investment. International treaties and agreements are negotiated and signed by the executive power and approved by Congress in a bill. This bill then passes to the Constitutional Court for examination of whether the treaty or agreement is in accordance to the Constitution. Some of the treaties that are most relevant to the national economy are with Mexico (1995), Chile (2009), European Union (2013) and the United States (2012). Some of the most relevant double taxation agreements are with Spain (2008), Chile (2009) and Canada (2011). Colombia has also been a member of the WTO since 1995, and is a member of the Pacific Alliance alongside Chile, Mexico and Peru. No, there are no restrictions for foreign exchange or currency. However, registration with the Central Bank for statistics purposes and control of currency must be effected. The general rule in Colombia is that there are no restrictions on foreign investment. However, depending on the sector of the investment, there may be specific rules for foreign investments, for example, in the national defence sector. In fact, foreign investment in Colombia is treated as a local investment in almost every case, except for specific scenarios. Yes, there are certain exemptions and deductions that can be seen as incentives for foreign investors in a specific sector. In addition to these, Colombia has several double taxation agreements that can also beneficial for investors. Certainly, there are other grants, incentives and reliefs in other regulations, regarding specific sectors of the economy. registration tax: tax over the registry of all legal documents that are required to be registered in the chambers of commerce. In Colombia, basically every industry sector is regulated in one way or another, some in a more technical and strict way than others, but there is no way to say that there is an industry sector in Colombia not regulated by law or decree or even both. Colombia is now in the process of unifying all the regulation that has existed by decrees into compilations of just one decree per sector; these decrees have received the name of ‘single regulation decree’ of the sector they are regulating. Although there is no sector that is completely controlled by the government, almost every sector has an entity that oversees it and regulates it. The key industry regulator depends on the sector of the industry; almost every sector of the industry has a special entity responsible for regulation and control of the activity. Their powers are variable depending on the type of entity in the organic structure of Colombia and the functions that are appointed to them by law. communication and technology: the Ministry of Communication and Information Technologies and the Communication Regulations Commissions. Apart from the entities present in specific industry sectors, there are entities that are applicable to all industries and that regulate subjects that interest every industry actor regardless of the sector. the DIAN: Tax and Customs Authority. Each sector is constantly regulated according to its specific needs. However, lately regulators have focused their enforcement activities on tax regulation, due to the new reform of the Tax Statue; competition and antitrust; and very strongly on corruption, due to the recent corruption scandals, especially in the public sector. As Colombia is a country that has been historically marked by corruption and money laundering, it has undertaken numerous activities to combat and prevent these critical issues that affect businesses and governments alike. First, Colombia signed and approved the Interamerican Convention Against Corruption between 1996 and 1998, which has as its goal the incentive of prevention and strengthening of the mechanisms to fight, direct, sanction and eradicate corruption, and to promote the cooperation between party states in relation to this topic (www.anticorrupcion.gov.co/SiteAssets/Paginas/Publicaciones/Convenci%C3%B3n%20Interamericana.pdf). Colombia has a variety of felonies drafted in the Criminal Code, which are a priority for the State’s Prosecutor’s Office. This list is related especially to corruption and bribery in the public sector and public entities. Also, Colombia has a series of regulations and provisions that are designed to fight corruption and bribery. Law 1,474 of 2011 establishes several legal measures for preventing, investigating and sanctioning corruption activities, which is why it is also known as the Anti-Corruption Statue. In relation to money laundering, due to Colombia’s context of drug trafficking and several other illegal activities, the government has paid special to this crime, with a focus on financial and insurance institutions. This concern led to the creation of the Financial Analysis and Information Unit (UIAF), which a public entity in charge of developing methodologies and instruments to fight against money laundering and financing terrorism. Therefore, the UIAF has issued several regulations and obligations for financial institutions regarding the submitting of information for analysis and the prevention of money laundering. Colombia has recently developed a whole legal framework regarding data protection. This concern for privacy and data protection comes from the constitutional right that every citizen has, and that is established in article 15 of the Constitution. Law 1,581 of 2012, Decree 1,377 of 2013 and Decree 886 of 2014 basically compose the legal framework, where certain obligations are drafted for companies that handle personal data. These obligations include having a data policy, obtaining the authorisation of the owner of the data to use it and respecting such authorisation, or registering the database in the National Database Registry (RNBD). The RNBD is a new registry that has been created to gather all databases and exercise more control over them and over companies that have databases. The Superintendence of Industry and Commerce regulates the registry of databases, and is also the entity in charge of protecting all citizens’ rights regarding privacy and data. According to the legal framework, the managing of personal data is considered to be any operation or group of operations over personal data such as its collection, storage, use, circulation or suppression. Therefore, any company that carries out these activities with personal data must comply with the regulation existing on personal data, under the penalty of fines and closure of any activity of the company involving the management of personal data. The complete regulation regarding financial statements is in the Commerce Code. In Colombia, every company, regardless of its type, has the obligation to approve financial statements, at least once a year. Financial statements must be approved in the shareholders meeting every year, and deposited in the Chamber of Commerce where the company has its domicile. There are some companies that have the obligation to submit their financial statements to the Superintendence of Companies and not to the Chamber of Commerce. Whenever there is a corporate group, Colombian corporate law establishes the obligation to present consolidated financial statements. Also, whenever an M&A is to take place, financial statements must be prepared, regardless of the time of the year. In relation to anti-fraud measurements, Chambers of Commerce oversee the registry and publication of documents, such as: articles of association (AoAs), reforms to the AoAs, shareholders’ meetings records, financial statements, shareholders’ ledger, among other things. This storage and registry service provided by the Chamber is a helpful tool against fraud because only the documents that come directly from the registry are valid or taken as truthful. The maximum authority in competition issues is the Superintendence of Industry and Commerce; in the financial sector the competition authority is the Financial Superintendence and for the aviation sector the competition authority is the Special Administrative Unit of Civil Aeronautics. Corporate governance and corporate schemes depend on the type of entity that is being used. Lately, with the proliferation of the simplified stock company (SAS) the outline of the corporate governance regime depends only in the shareholders, therefore they can establish whatever scheme they deem necessary. In general terms, all companies must have a shareholders’ meeting or an equivalent that represents the highest decision-making body, which is in charge of making decisions and deliberations about actions that the company will do. The shareholders’ meeting must gather at least once a year to approve the financial statements and have other functions reserved exclusively to it, such as approving any reforms to the AoAs or by-laws, naming the board of director (if there is one), among others. Another important body in corporate governance is the board of directors, which is mandatory when the entity is a anonymous company, but not if it is a LLC company or an SAS company. The board of directors is the body in charge of orienting and managing the administration of the company, but does not have the functions that are already reserved for the shareholders’ meeting. When it is mandatory to have one, the law has provided the way and mechanisms by which the board of directors must function. The legal representative is another very important part of corporate governance because is the one in charge of representing the company before third parties, to bind the company and to execute any other function that by-laws or shareholders’ meetings assign to them. The legal representative may vary depending on the type of company, it is not often that shareholders or partners are legal representatives as well, the legal representative condition is often assigned to a third person, in SAS companies it is even possible to name another company as a legal representative. This is the general outline of corporate governance for companies in Colombia, but again, this depends on the type of company. The tendency is to let the shareholders decide in the AoAs the way in which they wish they company to be govern, as long as they respect the minimum obligations established by laws. Companies related with the financial sector have a stricter regime of corporate governance, as well as public stock companies, this is because their ability to capture resources of the public, thus Superintendency of Companies and Financial Superintendency are strongly promoting safe corporate governance methods. Most companies also adopt a Good Corporate Governance Code to establish some ground rules for the function and operation of the corporate governance. In Colombia, at least for now, there is not such thing as a criminal liability for companies or legal persons; criminal liability understood as the liability coming from the commission of a conduct forbidden by the criminal code and declared by a criminal judge is only for natural persons, thus the heads of the companies, or its employers, may incur in criminal liabilities for themselves, for actions related with the company itself. However, companies can be sanctioned in several different ways for the wrongdoing of their director and officers as long as they constitute a breach to other types of regulations different from the criminal code, such as environmental breaches, labour breaches, competition breaches, data protection breaches among others. The most common sanction is the imposition of fines or suspension of activities. The directors and officers of the company, as Law 222 of 1995 considers them administrators of it, they may incur in economic liability for their wrongdoing and breaches if they damage the company itself or any of its shareholders. The Commerce Code has a list of several business entities with their special rules and regulations, among this ones the most commonly used was de Corporation (Sociedad Anonima –SA). However, with Law 1253 of 2008 the Simplifies Stock Company was created as a new type of business entity that is more flexible than the classic types regulated in the Commerce Code. The SAS has proven to be a very useful tool for business because it serves as a versatile vehicle that could accommodate to all the needs and requirements of a specific business, due to its policy to leave almost every regulation to the shareholders, and allowing a more flexible and less strict regulation to be had. Since its creation, it can be said that SAS has replaced SA Company as the most used type of business entity both by national business and foreign investors, because of its characteristics. Minimum of one and no maximum. SAS always have a commercial nature before the law. Private document, no need for a public deed, registered in the Chamber of Commerce. Unlike other business types, an SAS has no need to specify its social purpose and it could be undetermined. An SAS can have an undetermined term of duration. Limited to the amount of their contributions. Social contribution can be paid by the shareholders in a maximum of two years. Shareholders are free to create any type of shares they wish (ordinary shares, preference shares, etc). Shareholders can limit the possibility to transfer companies shares. Are valid and perfectly executable before the Superintendence of Companies, doesn’t matter the topic they are about, and any vote contrary is not valid. Disputes between shareholders can be solved by arbitration, by the Superintendence of Companies or the ordinary judges. Shareholders are free to establish the way in which the company is going to be administrated. Only those registered in the company’s business registry as legal representative can represent the company before third parties. Only mandatory when the value of gross assets is equal or superior than 5000 times the current minimum legal monthly wage. In the Colombia M&A market is fairly common owing to the several business opportunities there are in the region. Whether it is two national companies merging or a national company merging with a foreign one, companies are always trying to find ways to be more productive and to benefit from the opportunities of the market. The bigger the merger the stronger the controls on the merger are, specially from government entities such as Superintendence of Companies and the Superintendence of Industry and Commerce; because, depending on the size of the merger, it would require these entities’ authorisation. The preliminary phase: in this phase, the administrators of the companies involved in the merger start negotiations and prepare draft documents for the merger that should include the merger agreement and the company’s financial statements. According to Law 222 of 1995, the call notice for the shareholders’ meeting must specifically include that an M&A is to be discussed in that meeting. Also, it must contain a warning indicating that all shareholders that do not approve the M&A or that will not attend the meeting may exercise their withdrawal right from the company. In addition, all documents relating to the M&A must be made available to all shareholders at least 15 days before the meeting, this means that every document used in the preliminary phase must be public for the shareholders to analyse, including the M&A agreement draft, the financial statements of all companies involved in the M&A, among other documents. Article 173 of the Commerce Code establishes certain information that the M&A agreement draft document must contain for shareholders to know: the reasons for the M&A and the way it is going to be done; data and figures used from the companies’ accounting that determines the conditions under which the M&A will be done; the list and valuations of company assets and liabilities that will be included in the M&A and the way in which they were valued; a document explaining the way in which shares or stocks are to be exchanged or handled in the M&A; and financial statements of the companies involved. Notice of intent: The law requires that for the intent of the M&A to be published in a newspaper with broad circulation; this is to be done to publicise the procedure to everybody and especially to companies’ creditors. Government authorisations: this is where M&A procedures can get complicated, firstly because it is necessary to determine whether the M&A that is being done needs government authorisations, and secondly because authorisations require an analysis process by government entities in order to approve or reject the M&A. There are two authorisations needed, when applicable, one from the Superintendence of Companies (for corporative issues) and the Superintendence of Industry and Commerce (for competition issues). Superintendence of Companies: this requirement applies only to companies under the vigilance of the Superintendence. When applicable, the Superintendence will check if all the special requirements for the M&A have been accomplished. This is only to check the legality of the procedure, not whether it is advantageous or not for the company or its effect on competition. Superintendence of Industry and Commerce: not all M&As should be submitted for approval. It is subject to approval only when the M&A has operational income or total assets higher than 150,000 current minimum legal monthly wages. In the rest of the cases there is no need for approval. The Superintendence will analyse the M&A regarding the effect it would have in the market and competition for that market. However, the Superintendence cannot object to the M&A when the companies involved prove that the M&A seeks to create a more efficient company, that it reduces costs in a way no other mechanism could or that the supply of the market will not be affected. When the M&A involves companies in the financial sector, the entity in charge of this study is the Financial Superintendency. Execution phase: once the M&A procedure has been completed and approved, it is time to implement it, starting with the registration of the corresponding documents in the Chamber of Commerce. In general terms, M&As have a very strict procedure, but it is only to ensure the rights of everybody involved. The hardest part of the procedure shall depend on the magnitude of the M&A, and government controls are applicable, again, depending on the size of the merger. The current law applicable for a company’s insolvency is Law 1,116 of 2006, which has been in force since 2007. This Law provides for two types of procedures, one in which the company’s creditors reach an agreement of payment of their credits (commonly referred to as ‘reorganisation’), and the other one is judicial procedure before a judge or before the Superintendence of Companies to completely pay off the company’s debts by selling or tendering the company’s goods. For a creditor to start a reorganisation process the company must have filed for bankruptcy and an imminent inability to pay. A promoter or liquidator is appointed to coordinate the whole process. The creditors’ agreement must be concluded during a four-month time frame following the act of bankruptcy, it must be approved by a number of creditors representative of at least the absolute majority of votes cast. Failure to reach an agreement results in the termination of the company’s legal personality and the promoter acts as the legal representative to distribute the company’s goods to the creditors. 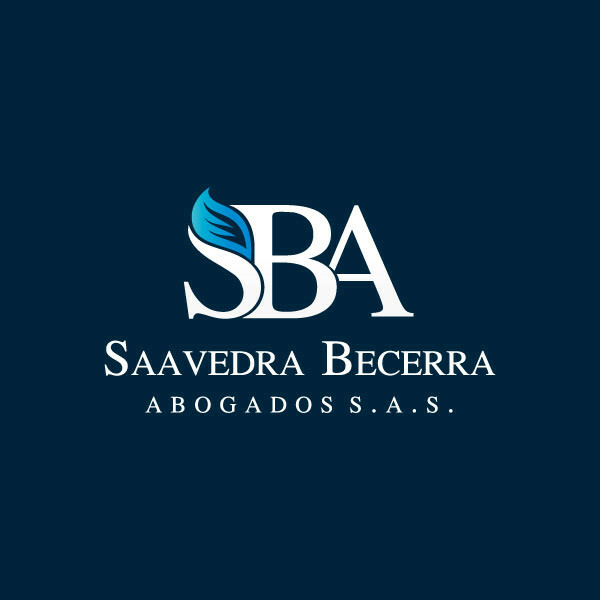 The alternative process is the judicial procedure before a judge or before the Superintendence of Companies, with the objective of adjudicating or selling or tendering the company’s goods to pay the creditors. The process could start because of a breach of or default on the reorganisation creditors’ agreement or in accordance with the legal provisions established in Law 1,116 of 2006. The process consists of identifying all the company’s creditors, making an inventory of the company’s goods in order to sell or tender them and paying the creditors with the money obtained. Altenatively, the goods themselves can be distributed to the creditors. During this judicial process, an agreement can be made between the creditors. It is important to bear in mind that in Colombia not all credits are the same; credits have a level of importance and therefore of priority at the moment of payment. The list of importance of the credits is established in the Civil Code and it depends on the kind of credit, the creditor or on the guarantee on the credit. This list of priorities is completely applicable to the insolvency process. Colombia’s legal framework regarding employment is very protective of the employee and his or her rights, as in the other jurisdictions in the region. Therefore, terminating employment contracts is never easy. The termination process also depends on the type of contract that the parties agreed upon. a work-term contract: the term of the contract is determined by the time a determined work or labour or project is set to last. Regarding the termination of contracts, in the legal framework there are general provisions for termination, established for scenarios where the work cannot be continued. There are also due causes for termination, established for when parties breach the employment contract; in these cases, there is no compensation. However, there is also the possibility for the employer to terminate the contract without due cause, but in this case there is the obligation to compensate the employee according to labour law. Employees in Colombia have the right to several social or welfare benefits and to an affiliation with the social security system, for them to be protected against sickness, maternity, old age, and accidents and illness resulting from their work. They can also join a family welfare fund. there are other benefits that can be agreed upon by the parties, but they have no legal standing. Whenever the employee’s salary is less than two current minimum legal wages, the employee must receive a benefit for transport defined by the government and will also receive a provision of clothes according to the work that is to be done. Employees may also come together and form unions, which is a right established by the Constitution; a minimum of 25 people are required to form a union. Pregnant employees may not be fired as they have the right to reinforced labour security. After the birth of the child, an employee has 18 weeks of maternity leave. Colombia’s legal employment framework also provides regulations for foreign employees working in Colombia’s territory. Most of the regulation regarding this topic is related to migration law and the Migration Authority, which is part of the Ministry of Foreign Affairs. It could be said that there are three basic obligations that employers must take into consideration and fulfil when engaging a foreign employer. Foreign employers must have a working visa issued by the Migration Authority. The visa type is TP-4 and has term of duration of three years, after which it is necessary to renew it or to modify it to another type of visa. For this visa to be valid, the employee can only work for the employer established in the visa, and in that specific position. The employer acts as a sponsor of the employee before the Migration Authority, and thus it is responsible for the employee during his whole stay in national territory. The issuing of this type of visa also comes with the necessity of having a foreign national ID, which is the document that will identify the employee in Colombia as a foreigner. It is necessary for the issuing of the TP-4 visa that the employee has a valid labour contract with the employer; however, it is also necessary for the labour contract to be valid to have a TP-4 visa. So, in view of this anomaly in the regulation, in practice employers and employees enter a labour contract but with a suspensory condition until the TP-4 visa is issued. Once the visa is issued, the employers have the obligation to notify the Migration Authority about the beginning of activities by the foreign employee within the next 15 calendar days. This notification is made through the Foreign Report Information System (SIRE), which is a technological tool for this procedure. Employers must also consider that it is their obligation, according to article 2.2.1.11.5.7 of Decree 1067 of 2015 and to the Labour Code, to pay for all the expenses of movement of the employee and its family to its new city of work. And there is an express obligation to pay for the expenses of the employee and its family to return to its country of origin or last country of residence once the labour contract is terminated. The TP-4 visa is not the only one issued by the Migration Authority as a work visa, there are other types of visas for temporary jobs and other varieties of the labour contract; however, the TP-4 visa is the most commonly used for this type of relations. Failing to fulfil all these obligations may carry monetary sanctions by the Migration Authority or the Ministry of Labour. Finally, it is important to take into account that Colombia is a country where most professions are regulated and have an organism in charge of profession surveillance. Therefore, there is the obligation for the employee who wants to practise that profession to fulfil all requirements in Colombia’s regulation for that specific profession, for example, homologating the decree of the profession before Colombian authorities. There are several key employment law factors to consider. The most important is that foreign employees have the same rights and treatment in Colombia as national employees. This entitles them to all benefits and rights drafted in question 28. It is also important to notice that in Colombia there is a strong union culture and union movements, and that Colombian law is very protective of unions. Therefore, unions are an influential part of large companies and anyone wishing to do business in Colombia must take into consideration that there is a strong union culture. As the Colombian legal labour framework is very protective of employee’s rights, economic sanctions for breaches and violations of those rights are very strict. Currently, Colombia is in the process of regulating the outsourcing and externalisation of work. Recently the Ministry of Labour issued a decree on the topic, which was suspended by the Council of State; however, a law project is being discussed in Congress to regulate this issue. The first thing to consider regarding intellectual property regulation in Colombia, as well as in other countries of the region, is that there is an international entity in this matter that is superior to any other authority in any country, and its regulation is, in general terms, prevalent before any other type of national regulation in the matter. This entity is the Andean Community of Nations (CAN). Though the prioritisation of CAN regulation may vary depending on the country, in Colombia, CAN regulation is above any national regulation issued regarding intellectual property; there is very little for national authorities to regulate that CAN regulation has not already established. Colombia has a very strong intellectual property environment owing to the effectiveness of its authorities, such as the Superintendence of Industry and Commerce. This has allowed for the exercise of rights and their enforcement to be effective. Especially regarding the registry of several trademarks and trade names, the Superintendence is very strict with the registration of trademarks that are similar or may lead to confusion among consumers. Industrial property: protection applicable in both distinctive signs (such as trademarks, slogans, trade names) and new creations (patents and industrial designs). Protection for distinctive signs is applicable only when registered in the Superintendence of Industry and Commerce. It grants exclusive use of the sign and the right to prevent others from using the same or similar sings that may lead to confusion. New creations also need to be registered in order to be able to exercise the right of exclusive enjoyment and prevention from third parties utilising it. These rights are granted for a 20-year time period. Copyright: is the protection granted to artistic creations, as well as literary and software creations. As a civil law tradition, the protection is granted to the author of the creation, this means that the author is conceded several rights for its exclusive exercise. Unlike industrial property, registry measures do not grant any type of right. In copyright regulation, rights are granted from the moment of the creation and the registry is only used for publicity matters but no rights arise from registration. The Colombian legal framework grants the author two different types of rights at the moment of the creation. Moral rights are the perpetual rights to claim ownership of a work, this entitles the author to prevent any type of transformation or modification of its work and is not an assignable right by any mean. Economic rights include the ability to allow any type of use of a work and receive a payment for such exploitation of a work. The latter are not perpetual, they last for as long as the author lives plus another 80 years. Plant breeder’s rights: This is a new form of sui generis intellectual property rights that protect the rights of new plants breeders, developed on a scientific procedure. It grants the right to decide on the use and exploitation of the new plant for 20 years. There is no doubt that the main issue of the government policy, legal reform and economy at this moment in Colombia is the implementation of the peace agreements with FARC, and it is the government’s and Congress’s main priority. That is the reason the Constitutional Court has approved a modification to the Constitution that enables a fast-track procedure for the law-making process and decree expeditions, which means that the law-making process is now shorter whenever the regulation to be issued has any type of relation to the implementation of the peace agreement. It might be said that there is uncertainty in Colombia nowadays, owing to the peace agreement, because no one knows the exact future that the text of the agreement will represent for Colombia and the types of changes that are going to be necessary to implement this agreement. Thus, Colombia is currently at the edge of very important decisions by all three public powers (legislative, executive and judicial). Economically, Colombia is facing a tax deficit due to the fall of international oil prices. Colombia has exploited its oil and gas resources to the best of its ability, hence the economic boom that helped the growth of the country’s economy. But with the drop in oil prices, experts say Colombia’s economy is starting to slow down and measures need to be taken, therefore, in 2016 the latest tax reform was approved with a substantial number of reforms to current taxes and tax regulation. Another key issue, at least in government policy, is the great amount of corruption and bribery cases that have taken place in government procurement, involving large sums of public money that affect key infrastructure projects for the development of the country. Due to the legal context provided above, there are several ongoing legal developments that can be issued faster than expected because of the fast-track procedure approved by Congress and by the Constitutional Court. The most important would have to be the possibility of the peace agreement to be part of the Constitution, or at least have constitutional rank, as a part of the ‘block of constitutionality’. This would mean that the whole text of the peace agreement would have to be understood as part of the Constitution; this is important not only to the business environment but to the whole country, because there is no exact measure or limit as to what the agreement implies. The rest of the legal developments would have to do more with criminal law and electoral law, again owing to the implementation of the peace agreement between the government and FARC. Hence, because of the recent corruption scandals in the country, one may expect several reforms and regulations regarding on the prevention and combatting of bribery and corruption, although they are yet to be announced. Regarding labour law, Congress is currently starting to debate the regulation about outsourcing now that the Decree that regulated it has been suspended. 34 Please cite helpful references, for example sources of law, websites of major regulators and government agencies. www.mintrabajo.gov.co/ (the Ministry of Labour).